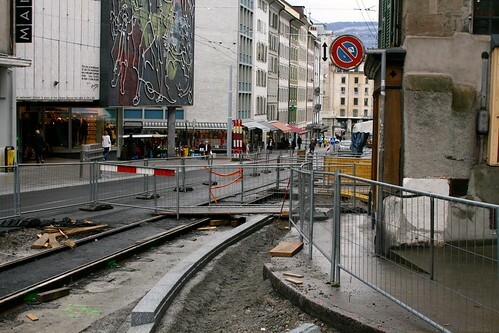 An interesting depiction of a recent phenomenon: the expansion of sidewalk in occidental cities. In this example, it used to be very tiny and the new version will make it wider. The design of the urban environment is strongly modified according to recent concerns about global warming (less room for cars, more for bikes and pedestrians) and social trends (encourage physical exercise).